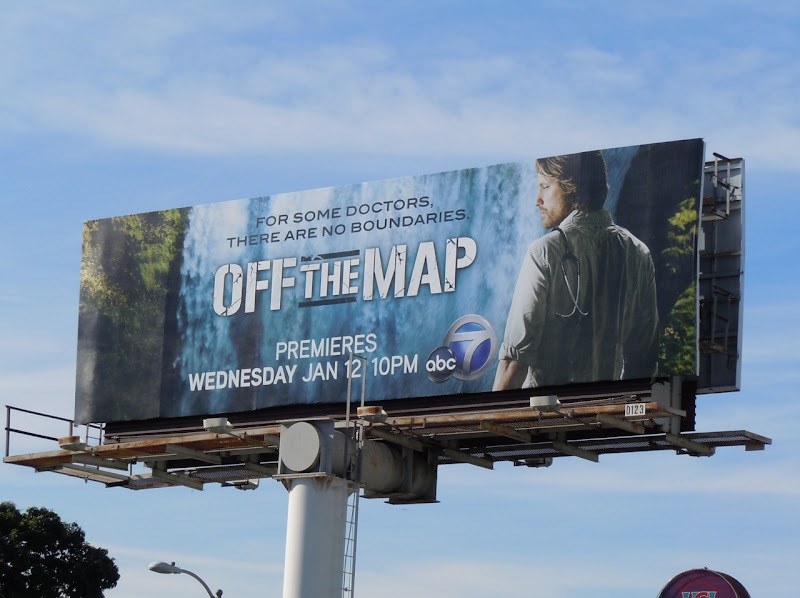 There are obviously no boundaries to what the makers of new medical drama, Off The Map, will do to make their show a success, as they seem to be evoking the fond memory of 'Sawyer' from LOST for this promotional billboard. 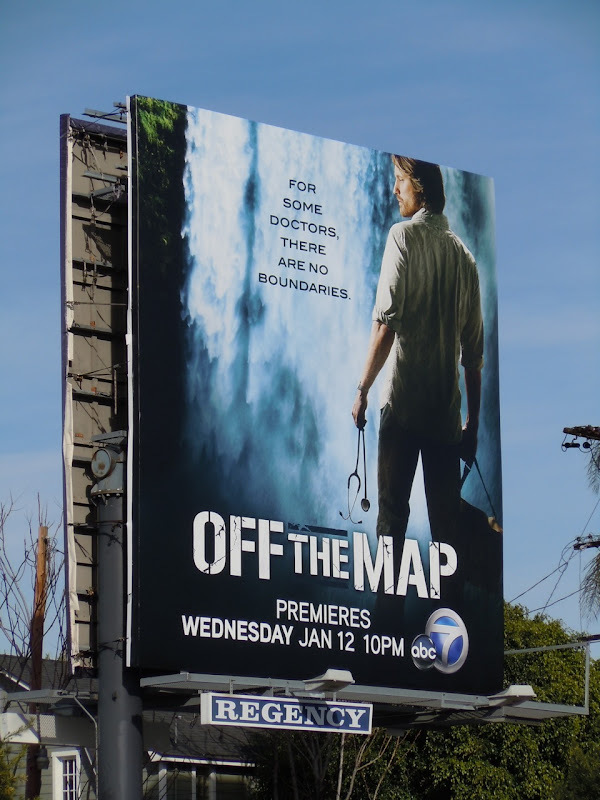 Let's hope the new series isn't just Grey's Anatomy in the jungle, as although imitation is the highest form of flattery, it can often make for some dull, uninspiring viewing. 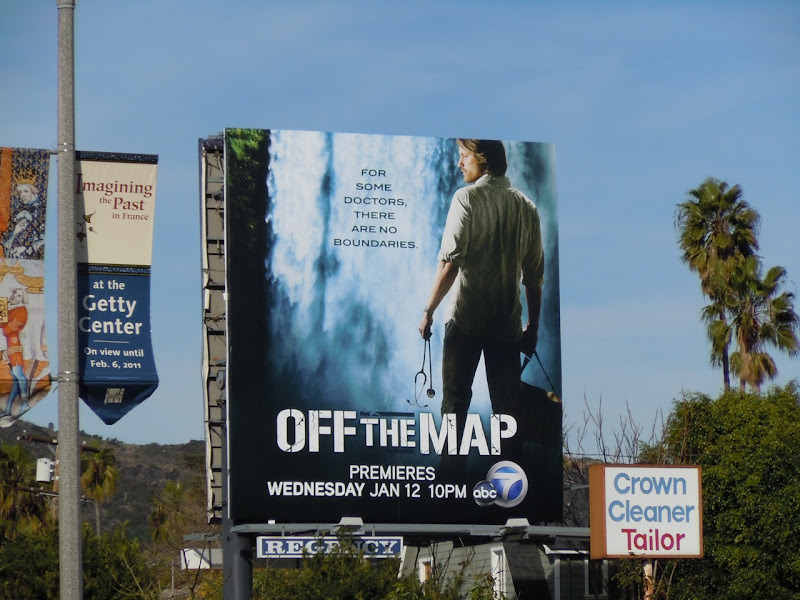 This television billboard featuring Martin Henderson as TV's newest hot doctor, 'Ben Keeton', was snapped along Sunset Boulevard in Hollywood on December 28, 2010 and the squarer version along Fairfax Avenue on January 13, 2011. And that wraps up another TV WEEK here at Daily Billboard, come back tomorrow for the usual eclectic mix of billboard ads from the world of movies, fashion and more.